The High Perfumery House of Annick Goutal is guided by the legacy of its founder Annick Goutal, and the vision of its noses Camille Goutal and Isabelle Doyen. Its remarkable sophistication and the excellent quality of its raw materials characterise each and every unique creation, and make for a collection of exceptional scents. 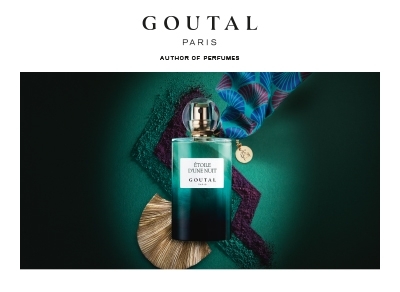 The secret of Annick Goutal's lies in the ability to transform emotions into fragrances. Each one represents a moment of happiness, a treasured emotion, or a powerful memory connected to a significant event or a loved one. Annick Goutal founded her perfume house in 1981 following spells as both a pianist and a model. A chance meeting with a perfumer from Grasse led Annick down the path of perfumery, and she discovered a true talent for create olfactory masterpieces. The niche perfume house would attract a loyal clientele that quickly expanded as word of the magnificent creations spread. The range of fragrances would grow too. From Eau d'Hadrien to Eau de Charlotte, all manner of things influenced Annick Goutal's unique vision. This vision spread all around the world in the mid 1980s, cementing the reputation of the house of Annick Goutal as one of luxury and prestige. More distinguished releases including Grand Amour and Ce Soir Ou Jamais ensured that the fragrance house remained at the forefront of scent innovation throughout this period. In 1999 Annick Goutal passed away, and her role was taken up by her daughter Camille Goutal and Isabelle Doyen. These exceptional noses still look after the house to this day, respecting the great traditions of Annick while incorporating their own ingenuity into each new creation.